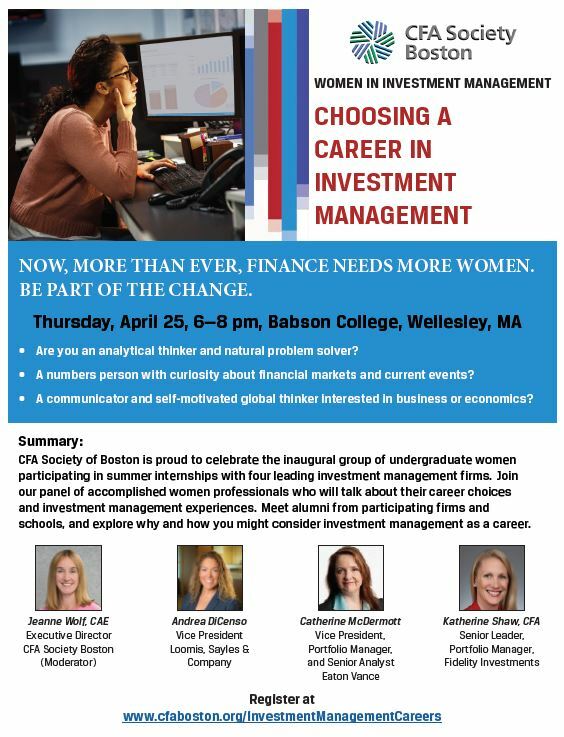 Bentley women undergraduates are invited to a FREE Panel Session — CFA Society Boston’s Women in Investment Management: Choosing a Career in Investment Management. The panel will be held on Thursday, April 25, from 6-8 pm at Babson College (10 Babson College Drive, Wellesley, MA, The Innovation Center at Park Manor West). See the below flyer for additional details and register at: www.cfaboston.org/InvestmentManagementCareers.